Today we’re talking about something you don’t see everyday. 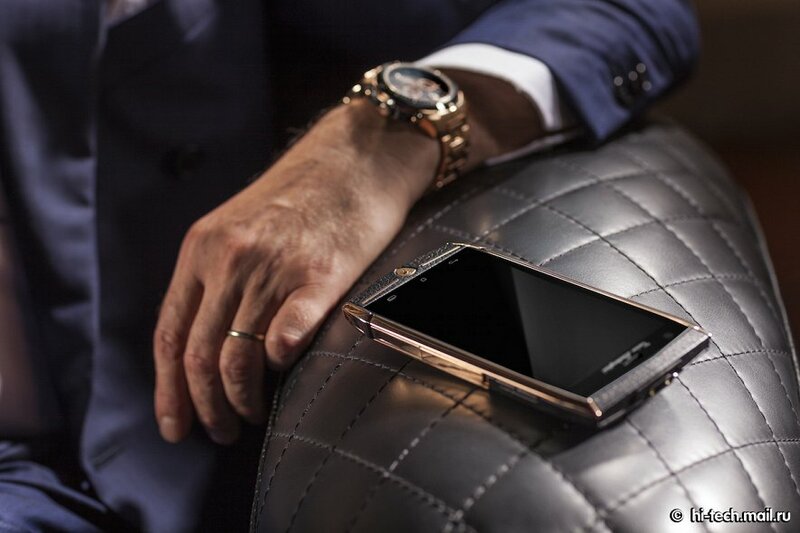 Yes, it’s still a smartphone, but it’s an exclusive one, a luxury model, to be more specific, called Lamborghini Tauri 88. Yes, the same Lamborghini that makes supersport cars joins the game with a device whose main attraction point is the looks. The Lamborghini Tauri 88 is a combination of premium materials, like steel and leather, both of them available in different colors. We must admit, it’s a very stylish option, just like the cars with the same name. Ok, but what about the specs? Well, it comes with a full HD display, with a resolution of 1920 x 1080 pixels and when it comes to what’s under the hood, it can easily compete with an early 2014 flagship, as the guys from SlashGear like to say. Lamborghini Tauri 88 is powered by Qualcomm’s Snapdragon 801 chipset, with a quad-core CPU, clocked at 2.3 GHz, aided by 3 GB of RAM and 64 gigs of internal storage, expandable, thanks to the presence of a microSD card slot. The camera is one of the most impressive aspects on the specs list, as it’s represented by a 20 MP rear sensor, teaming up with a 8 MP front one, perfect for some selfies. Because everybody loves selfies, no matter the price of their smartphone, right? Another aspect worth noting is the battery, which sports a capacity of 3200 mAh, able to deliver up to 35 hours of talk time or 100 hours, in stand by. Of course, we can’t forget about the Lamborghini Tauri 88’s price, which is not the friendliest. Only 1947 units will be made, in order to celebrate the year in which the company’s founder, Tonino Lamborghini was born, and if you want one, you’ll have to pay $6,000. Yes, four zeroes, more than you would pay for a Samsung, for example. You didn’t thought that such an exclusive device was cheap, didn’t you? So, any first thoughts about it?